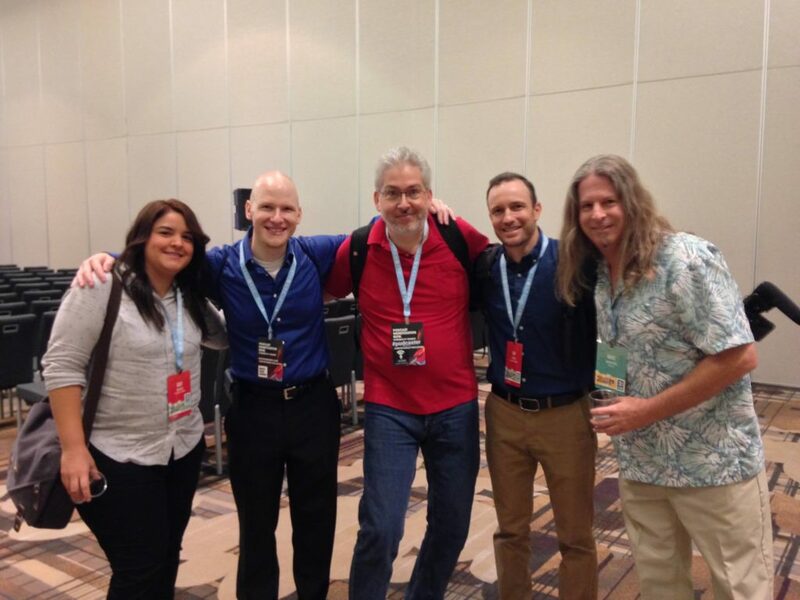 I'm back from podcast movement, and I had a blast. I also have insights from one of the hardest assignments I've done in a long time. Nothing cooler than being picked up at that airport by fellow podcasters Marcus Couch from WordPress Plugins A to Z. We haven't seen each other face to face in about 10 years. We cranked some cool metal on the way to the Marriot and it was like old times. Then I get the then Marriot and I get to meet my co-host Jim Collison from the Average Guy network, and I go over to his table and there sits the one and only Steve Stewart and Mike Dell. 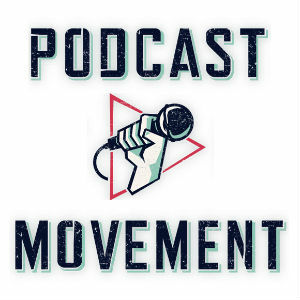 So for me, the Summer Camp aspect of Podcast Movement is in full effect. The coolest line I heard all week was relayed by Paul Colligan (another person' I've known for 10+ years) and it came from a Dan Klass session. Dan (who is a former comedian) shared how often at comedy clubs you will have multiple comedians perform in an evening – and yet they all use the same microphone. The point? It's not about the tech. 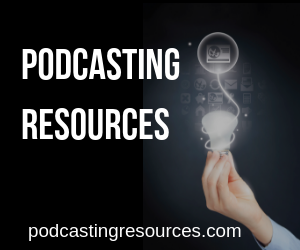 I roomed with Erik K Johnson from podcasttalentcoach.com, and he had stated that it would be awesome if he could meet a web developer who needed help with his podcast, as he was a podcast consultant who needed help with his website. I get into the elevator, introduce myself to everyone in the elevator and it turns out that one of the people is a web designer thinking of starting a podcast. When we get out of the elevator, on of the first people who see is Erik. I felt like I was in a Christmas movie and it was going to start to snow. I found out in Paul Colligan's session that if you are in Google Play Music, you are also on the Google Home portable audio speaker. I also know of a cool double secret project that is going to make recording double-enders via a browser very cool. I was on a panel with Ray Ortega, Daniel J. Lewis, and Addy Saucedo on what is inside an RSS. This was an insanely nerdy topic, but due to the recent Apple announcements we had some interested parties and I thought we pulled it off well. The bonus is I got to hang out with some cool friends. While there were tons of great sessions at PM17, as a vendor (I work for Libsyn.com – use the coupon code sopfree to get a free month) I don't get to attend any sessions. I did see something that was way cool. I met Alissa Daire of the Maximize Your Strengths show. I see her the first night, and she is in a group of people and we get talking about Strengths Finder, and she becomes a ping pong ball bouncing off the ceiling with energy. She's super nice, and it was great to catch up with her as I had met her last year. The next night, I'm standing at the Luau event, and here she comes. She explains how “I'm done.” She's tired (as many people are), and she is considerably less energetic. Pat Flynn walks over, he's very witty and a super nice guy. Then the subject changes to strengths finder results, and it was like watching a time release video of a flower blooming. Her energy came back, her smile came back, her body language completely changed. It was amazing to watch. I saw this a few more times. It's late, and people have had a few adult beverages, then I ask them about their show, and BOOM, the body language picks up, the eyes are open a bit wider, the voice is a little louder. Later, Paris from Gamertag Radio got star struck when Cara Santa Maria from the Skeptics Guide to the Universe walks by. I offered to go bring her over. He got shy, so I did my best Steve Austin (the six million dollar man, not the wrestler) imitation across the showroom floor. I had no idea she was an Emmy Award winning journalist. I bring her over and embarrass Paris. Danny Peña is there, Jim Collison is there, and the minute Paris explained that he really did listen to her show the body language changed. For me, I think of it as being in your “first impression” mode and then finding out that you're among family. I spoke about how I got lucky to be able to induct Dan Klass from the Bitterest Pill into the Academy of Podcasters Hall of Fame. The presentation should last three minutes. I had hoped that three minutes would be longer than I thought. I wrote out my first draft. It had some bits about history and podcasting in 2005. It had examples of how the show made me feel. I made a joke about how the more I talk about his show, the more I sound like a stalker. I listed his accomplishments. What Was the Purpose of This Presentation? I had to go back and ask myself, what was the purpose of this presentation? The purpose was for the person sitting in row 7 who had been podcasting since 2015 and had no idea who Dan Klass was. It wasn't about me. It wasn't about being funny. I was about answering the question, “Why is Dan Klass in the Academy of Podcasters Hall of Fame.” For me, this was a big opportunity, on a big stage, and I didn't want to mess it up for myself, or Dan. It was time to edit. Anything about me went out the door. The history lesson of iriver portable players and synchronization cables went up in smoke. Most of the stories I had about Dan might not go over if you didn't listen to his show. Only the things that HAD to be said would stay. I listed his accomplishments. I thought of the funniest thing I had heard on his show (he referred to his two-year-old daughter as Princess Tirade for quite some time), and the most memorable episode (of ALL podcasting) is episode 102 Mass Murder where he talks about what it's like when your Uncle is murdered, and you're walking past TV cameras escorting your mother to the funeral. It's at the end, I highly suggest you listen to it. I had pointed out that Dan was one of the first to try premium podcasting (this was YEARS before Patreon) and it didn't work well. That was negative, so I just pointed out that he was a pioneer and not afraid to try new things. I HAD TO POINT OUT, that Dan had been sharing stories a DECADE before Serial was on the scene. Dan was creating engaging stories in a box in his garage, and he did it without a team of 19 people. That had to stay. To make it entertaining, I thought of throwing in some old Baptist preacher tricks of getting people to repeat words. This came to me in the shower. It would make me stand out, but I was deeply worried about being too entertaining (again, this was all about Dan). Looking back, that was a dumb thought (you're not going to outshine Dan Klass). I know some of us want to record it and publish it. I truly, always believe a podcast can benefit from editing. This is especially true if you are doing interviews. Devin from the Big Picture Retirement podcast shares how he didn't' want to start a podcast but sure is glad he did. He just released episode 34, and his co-host has already billed $10,000, and Devin has billed $6,000 and has a client who will bring in $20,000. I bet you might think, they have a huge audience, right? Nope, according to Devin, they are averaging 534 downloads an episode. Marcus Couch from WordPress Plugins A to Z.